One of the most vexing subjects in the area of innovation is the interrelationship between innovation and imitation, and its implications for intellectual property. More particularly, at least since 1986, when David Teece published his classic article,"Profiting from technological innovation: Implications for integration, collaboration, licensing and public policy", the question was, and is, who is more likely capture value from innovation -- the innovator, the imitator, or the downstream providers of so-called "Complementary Assets", such as manufacture, distribution and marketing? Teece focused on intellectual property under the rubric of "Appropriability Regime" and asked this question: is the innovator's appropriability regime strong or weak? If the former, and if the innovator did not need to share a material portion of the value in the complementary assets, it was more likely to reap the lion's share of the benefits. Teece's analysis came out of a different industrial era, standing, as he was, at the cusp of the digital age. While it is not stated explicitly, his analysis rests on the notion that there are sufficient incentives for the innovator that under the right circumstances, i.e., if his IP is sufficiently robust, he will be likely to capture significant value from his inventions and creations. 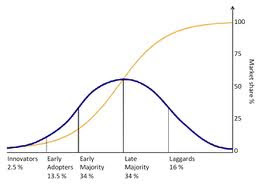 In such a situation, with ample potential reward for the innovator for creating valuable IP, the imitator serves his classic role, exploiting IP rights by design around in a manner that doesnot infringe existing IP rights, together with successful utilization of the complementary assets necessary to commercialise the development. In such a circumstance, IP is central to the Teece framework, both for the innovator and the imitator. How different is the role of IP and the imitator in today's world. One need look no further than a article that appeared in the June 2nd issue of The Economist. Entitled "VC Clone home: Venture capital in emerging markets" here, the article describes the phenomenon of "tropicalisation", which is defined as "the practice of backing start-ups that take an established business model and adapt it to an emerging market." The article refers inter alia to Peixe Urbano, described as Brazilian clone of Groupon, Baidu, characterized as "Chinese interpretation of Google", and Trendyol, a Turkish version of Vente-privee.com here, tweaked for the local market. Perhaps the most interesting scalable attempt of imitation in this regard is Rocket Internet here, which reportedly operates a " 'cloning' factory" that apes successful US and European businesses and then seeks to find entrepreneurs to export these clones to the developing world. One motivation for this phenomenon seems to be the diminishing track record of success for VCs in the developed world. The search for returns is driving them to seek returns further afield. What is interesting is that the focus of these investments seems to be less, indeed far less, in innovation of the kind described by Teece, and more in the imitation of successful business models in the social media and online commerce space. In considering the examples given in the article, one is hard-pressed to find even instance in which breakthrough technology and supporting strong IP rights is the driver of the adapted business model. In fact, the trade mark and brand of the businesses being imitated may be the most valuable IP asset of those companies and it is the IP asset that is the least likely to be copied. Thus, it may be true, as Eric Archer of Monashees Capital states,"w]ith innovation, you have a global side, but with copycat innovation you have geographical limits." However, change the name of the local copycat and adroitly implement the business model within the requirements of the local market, and the so-described "global side" of innovation, embodied in the company's trade mark and brand, may not be enough. Perhaps of most concern in the developments described in the article is the nature of the innovation being imitated. 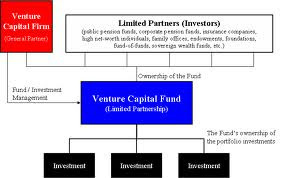 In comparison with the innovation contemplated by Teece, these kinds of VC-sponsored activities in the developing world appear IP-lite, resting almost entirely on successful exploitation of complementary assets in the local jurisdiction. Indeed, the closing words of the article should give pause to all those who wrestle with the challenge of engendering innovative IP in the developing world. The article concludes: "It will not be long before emerging markets spawn their own innovations that can be trotted out on a global scale. That would be closer to the spirit of venture capital, which is supposed to ferret out and fund new ideas, not imitations. Until then, however, tropicalisation is set to become an ever more popular strategy. Copy that." While that sounds uplifting, there is nothing in the article that supports this conclusion. It is equally plausible that troplicalisation will merely beget more tropicalisation. If Teece described the conditions for "good" imitation, the circumstances that surround tropicalisation suggest the opposite: "bad" imitation with little or no prospect for innovation, at least some of which will be supported by strong and robust IP rights. Perhaps 'innovation' in the sense of business models from emerging markets will be more fertile in areas where advanced economies suffer from 'first-mover disadvantage'. For example, much of Africa was not hard-wired with telephone wires; mobile telecommunication grew rapidly and spawned services such as transferring money by text message, a feature which is alien to most as it is only now appearing in the UK. The emerging markets have therefore jumped ahead. However, as a general rule, the conditions for the upscaling of that innovation through investment exist only outside the region.